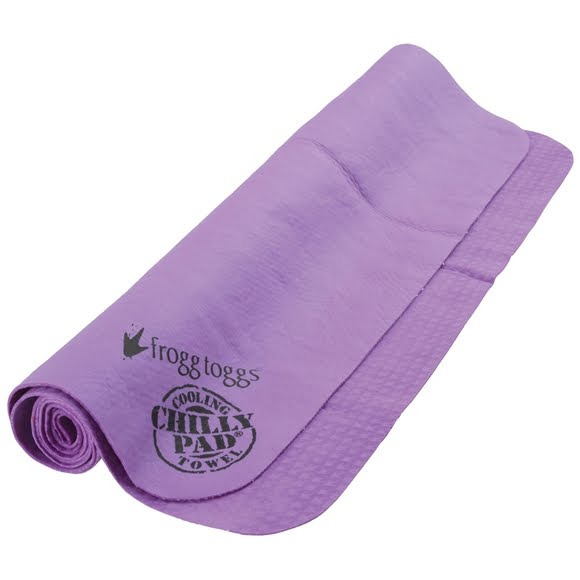 Made from a hyper-evaporative material that retains water while remaining dry to the touch, the Frogg Toggs Chilly Pad® Cooling Towel is an innovative way to cool down while enduring outdoor heat and/or high levels of physical activity. When wet, the towel begins to evaporate and cool, providing cool, soft comfort to the user. Made from a hyper-evaporative material that retains water while remaining dry to the touch, the Frogg Toggs Chilly Pad® Cooling Towel is an innovative way to cool down while enduring outdoor heat and/or high levels of physical activity. When wet, the towel begins to evaporate and cool, providing cool, soft comfort to the user. When it stops cooling, simply re-wet the towel in hot or cold water and wring it out. Within minutes, it&apos;s cool again.